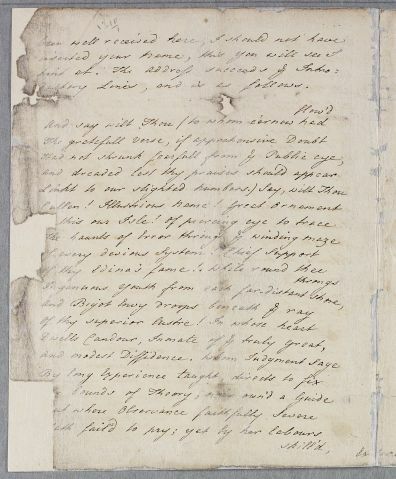 Letter from the physician, poet and dramatist Hugh Downman in Exeter, promising to send the case of his sister and also including draft of address to Cullen which he seeks permission to include in Book 3 of his work Infancy: Or, The Management of Children: a Didactic Poem, published in stages between 1774 and 1790. The lines were included in the published version first appearing in 1776. and lacunae in the manuscript due to damage are supplied from this printed edition. Downman had studied medicine under Cullen. 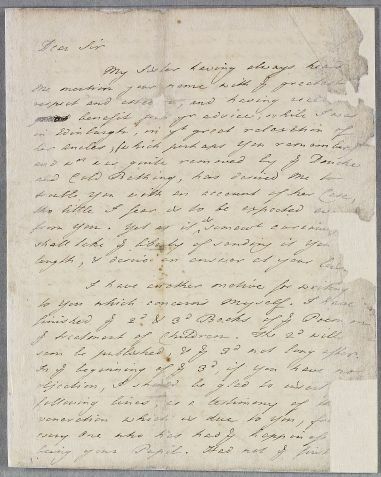 Summary Letter from the physician, poet and dramatist Hugh Downman in Exeter, promising to send the case of his sister and also including draft of address to Cullen which he seeks permission to include in Book 3 of his work Infancy: Or, The Management of Children: a Didactic Poem, published in stages between 1774 and 1790. The lines were included in the published version first appearing in 1776. and lacunae in the manuscript due to damage are supplied from this printed edition. Downman had studied medicine under Cullen. ductory Lines, and is as follows. Accept our lays inscrib'd to thee? Thou wilt. Lessen'd the milder virtues of the man. And warm Benevolence incircling all. 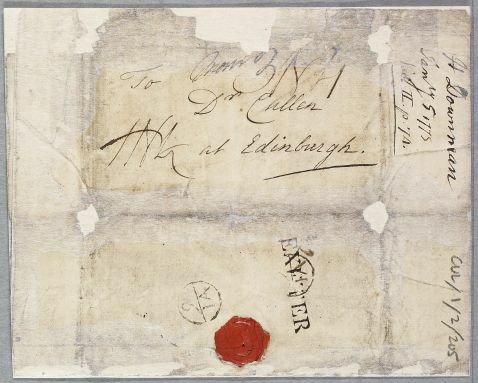 1: Hugh Downman was a matriculated student of medicine at Edinburgh in the sessions of 1767 and 1768. 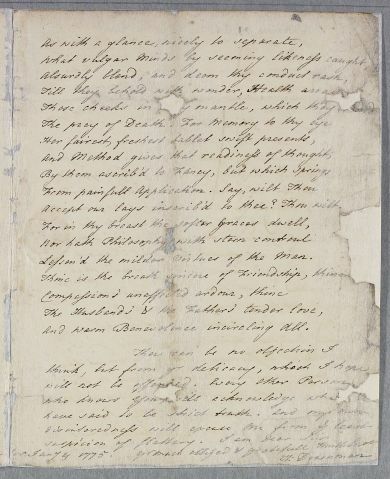 2: 'Book One' of Hugh Downman's Infancy: or the Management of Children, a Poem, had first appeared at London in 1773. 'Book Two' was published in 1774 and 'Book Three' in 1776 (all three being reprinted together at Edinburgh in 1776). The complete poem in 'Six Books' did nor appear until 1790.